Tonight I discovered the MOST delicious dessert ever! 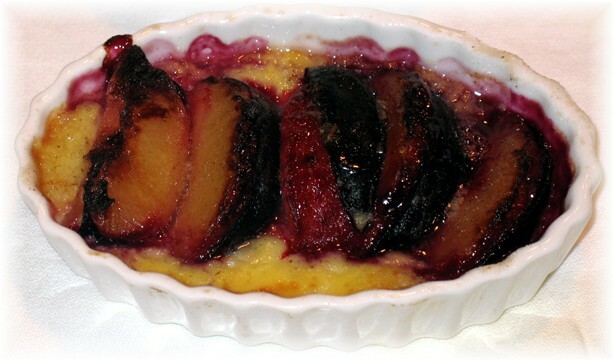 Easy, only 137 calories per serving, packed with flavor, this sweet treat is called “Honey-Lavender Plum Gratin.” The recipe was sent to me by EATING WELL. Let’s just say it is a keeper! Lavender is infused into the custard and creates a subtle, yet distinctive, floral taste complementing the sweetness of the plums. I used Lavender Honey to sweeten the custard. 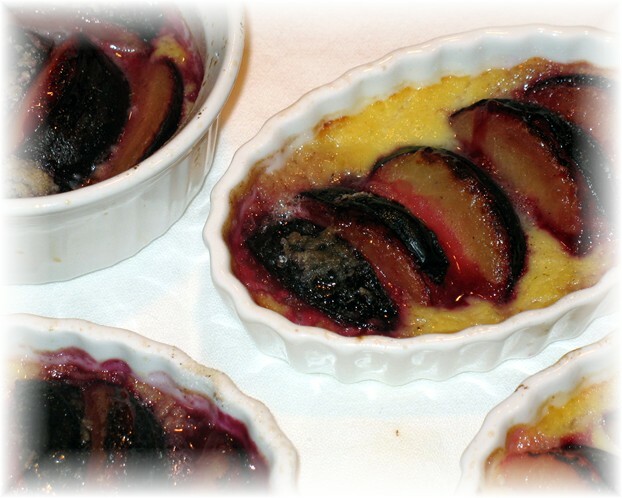 I am dreaming about making this dessert and using blueberries or peaches in place of the plums. So wonderful! The plums, peaches and berries are still abundant at the market. The time to try this spectacular dessert is now!